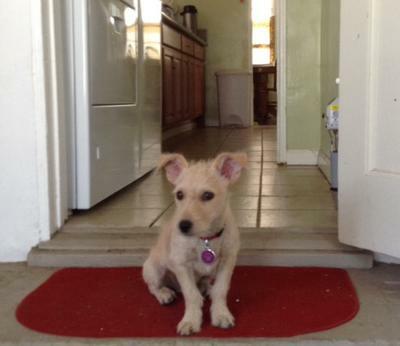 Lingie, our 4-month-old, ranch-bred "Papillon-Terrier" is looking a lot more like a Jack Russell Terrier. He's silly, fun, energetic and the cutest little guard dog. I have a 9 year old JRT/Maltese and he looks just like lingie.